The MIN-GUIDE Annual Conference 2017, entitled “An Innovation-Friendly Policy Framework along the Mineral Production Value Chain”, took place in Brussels, Belgium on 13-14 December 2017 at the Crowne Plaza Hotel in Brussels. 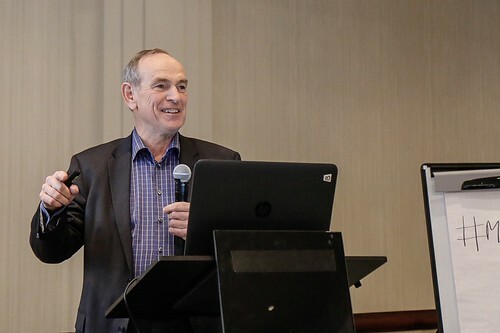 The Annual Conference provided insights into the cornerstones and future trends of an innovation-friendly policy framework for exploration and extraction, processing, waste management, and mine closure. The Annual Conference hosted participants from all over Europe, in order to exchange knowledge and experiences on the Innovation-Policy Nexus - the relationship of good practice innovation cases and their underlying policy frameworks. In addition to high‐level keynote presentations and interactive sessions, the MIN‐GUIDE online Minerals Policy Guide was presented. Moreover, the Annual Conference provided a platform for networking and community building, allowing participants to make use of an informal meeting space to exchange with peers and stakeholders from related areas and communities. Waste management and mine closure. The “Innovation Island” format of these parallel sessions allowed participants to learn and exchange hands on about the innovation cases’ success criteria, supportive policy framework factors, and cross-value chain interactions. In-depth understanding of the Innovation-Policy Nexus: Keynote presentations and interactive sessions offering participants an in-depth understanding of value chain innovations and what role policy can play in innovation. The event included presentations and innovation island formats on industry good practice innovations, their supporting policy frameworks and cross-value chain interactions. A platform for networking and community building: Participants had opportunities to interact, network, and exchange with one another via different formats, such as innovation islands or a networking dinner. This set the basis for integrating the mineral production debates on multiple levels, in different policy settings, among diverse stakeholder groups, and among existing initiatives. Synthesised and easily accessible MIN-GUIDE results: The conference showcased the Online Minerals Policy Guide, which comprises results of three MIN-GUIDE Policy Laboratory workshops. This enabled future minerals policy experts and decision-makers to easily access and further develop a comprehensive, customizable, up-to-date online knowledge repository on EU MS minerals policy frameworks and good practice innovation.